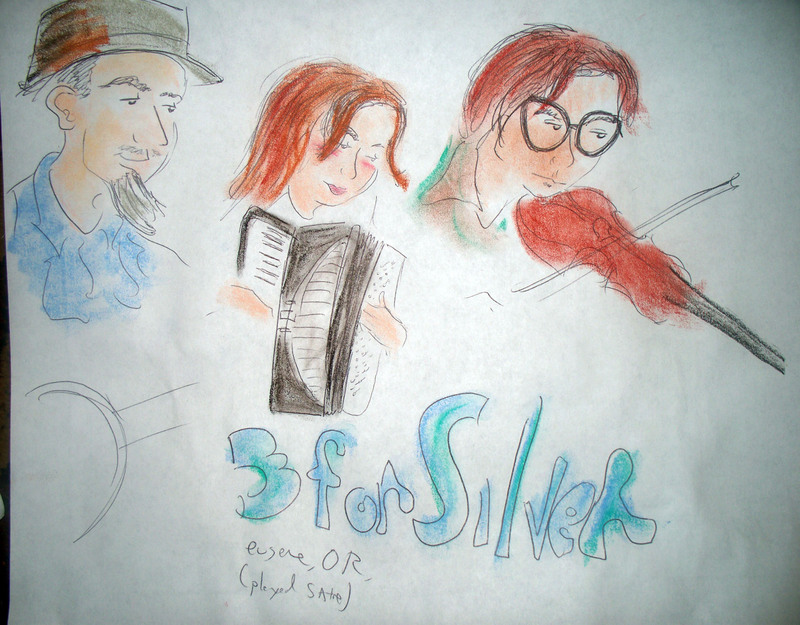 One of the most delightful, talented bands I’ve seen in Oregon: Three For Silver. Some compare them to Tom Waits, I think they sound a bit like Dark Dark Dark and the Squirrel Nut Zippers! 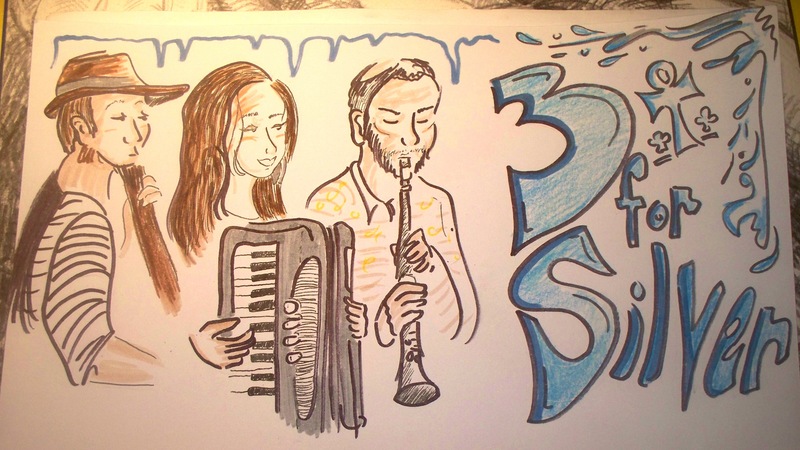 I do like to draw accordions. Andrew played clarinet at this show and played on their album. They said they were friends with another band I have drawn, the G String Orchestra. 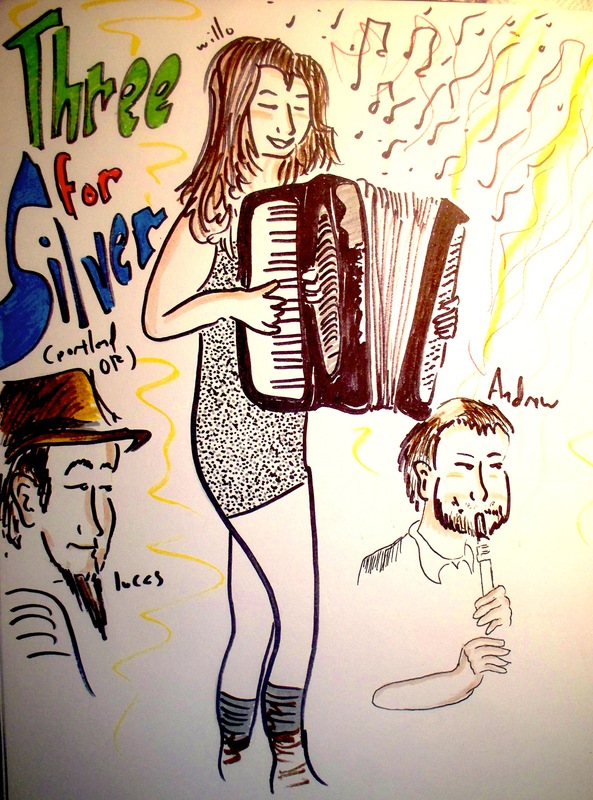 Sublime songs, Accordion, fiddle and a unusual banjo bass. Look them up Here.